Explore MoreVIDEO: Myth or reality? Get a closer look at the Death Worm. , ON TV: Check the Lost Tapes Episode Guide for future air dates. , VIDEO: How does one meet a Death Worm? THE MONGOLIAN DEATH WORM: Cryptozoologists who've traveled to the Gobi Desert in search of the Mongolian Death Worm have returned with hundreds of descriptive accounts from locals who claim either to have seen a Death Worm or to know someone who has. All the reports are almost uniformly identical -- the bright red creature, resembling a blood-filled intestine, is about 2 to 5 feet long and about 2 inches thick with no discernible head or tail. 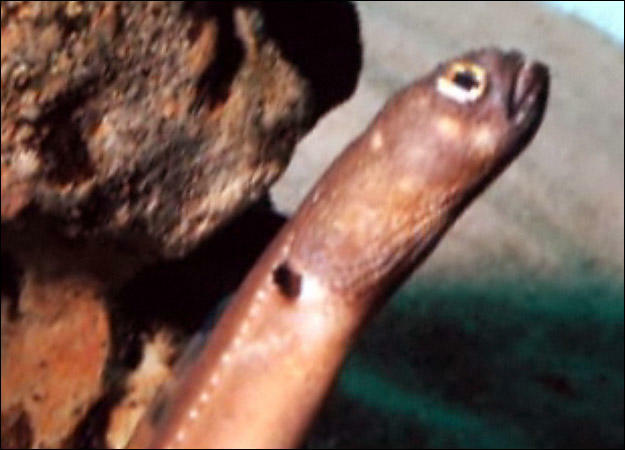 While no photographic evidence of the Death Worm exists, many artistic renderings depict a circular sucker-like mouth with sharp teeth pointing inward. Native Mongolians believe wholeheartedly and almost unanimously that the Death Worm does indeed exist. OF ACID AND ELECTRICITY: Reported to live in the arid and inhospitable sands of the Southern Gobi Desert in Mongolia, the Death Worm is said to be able to rise from the sand without warning and kill its prey at a great distance by shooting a corrosive, acidic substance into the victim's face. Along with the acidic venom, the Mongolian Death Worm reportedly delivers an electric shock powerful enough to kill a camel. As if the desert itself wasn't dangerous enough!